Under applicable law, employees may be entitled to compensation for time they spend using the Shift Feedback feature. 7shift recommends consulting with counsel or a local HR professional for guidance regarding wage and hour requirements in your location(s). Everyone who works a shift can now leave feedback after the shift, provided it is enabled by the account admin. Once feedback is left, it can be reviewed in the Manager Log Book. Employees will receive the push notification within 15 minutes of the end of their shift. They will need to act on it within 6 hours of receipt. 1. 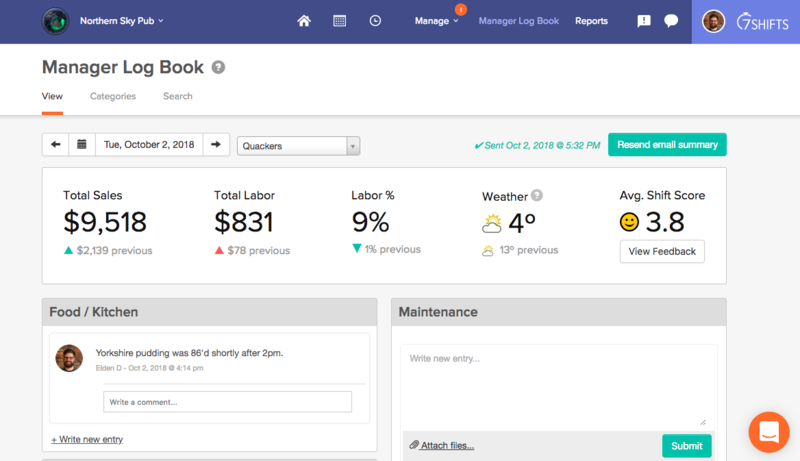 Click on 'Manager Log Book' at the top of the page. Here you will see an average score for the day in your insights area. To view more detailed data, click 'View Feedback' and you can see everyone who has submitted a score with the ability to filter by ranking or if they left a comment. With a better pulse on your team's satisfaction you can deal with issues as they come up and improve the quality of service for everyone before any problems arise. 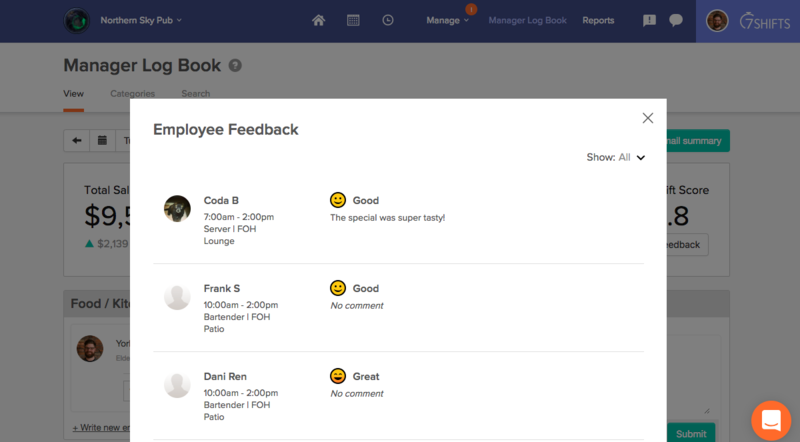 All feedback left is visible to all Admins, Managers, and Assistant Managers within the specific Location.